Winner Poker offers its players the best odds and the best insider information to maximise their odds. Winner Poker is run by Playtech software and their player traffic is drawn from the iPoker network with just on 35,000 players online during peak hours. Winner Poker has a lobby that is easy to navigate with useful statistics that are readily available. Winner Poker also have a number of tournaments on offer, such as the Irish Winter Festival and the Caribbean Poker Tour. 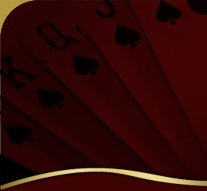 Texas Hold’em, Omaha and Stud are some of the games that are on offer at Winner Poker. Winner Poker offer numerous deposit options, such as Visa, MasterCard, Neteller, Click2Pay, ECO, WireTransfer, UseMyBank, Ukash, Diners Clug, PaysafeCard, WebMoney, Maestro, ClickandBuy, EntroPay, Instadebit and GiroPay. Winner Poker strive to set new standards and prides itself on their 24/7 support system. They offer email, fax and telephone support which is reachable directly from their user interface. Winner Poker was established in 2001 and is licensed by the Antigua and Barbuda Financial Services. 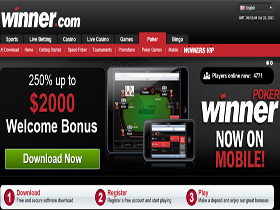 Winner Poker offer 250% up to $2000 sign up bonus. They also have a VIP Program that enables players to earn points just by playing at Winner Poker.